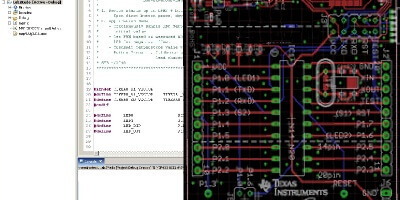 This TI design implements a hardware interface solution based on the HEIDENHAIN EnDat 2.2 standard for position or rotary encoders. 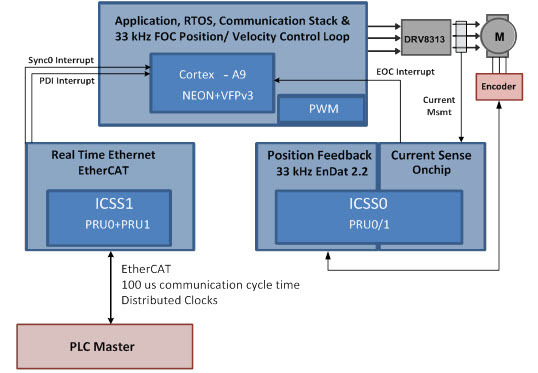 The platform also allows designers to implement real-time EtherCAT communications standards in a broad range of industrial automation equipment. It enables designers with a low foot print, low power and single chip solution in applications such as industrial automation, factory automation or industrial communication. Combining EtherCAT and EnDat provides the user with a single chip solution to bridge from motor control to higher level communications. The EnDat 2.2 interface improves the technical standard for motor control and reduces overall system cost. Combining EtherCAT and EnDat 2.2 on a single chip allows for more integration and a smaller footprint. Free ETG EtherCAT stack with free ETG membership. Compatible with other third party EtherCAT stacks. Support other industrial communications with the same hardware (e.g., PROFIBUS, Profinet, Ethernet/IP, and more). Based on Sitara AM437x Processor for Single Chip motor control applications and other embedded control and communications applications.